Interesting Facts: Fraxure is a bipedal Pokemon and have two huge tusks coming out of his mouth that are capable of breaking boulders. They are really violent Pokemon and also territorial. 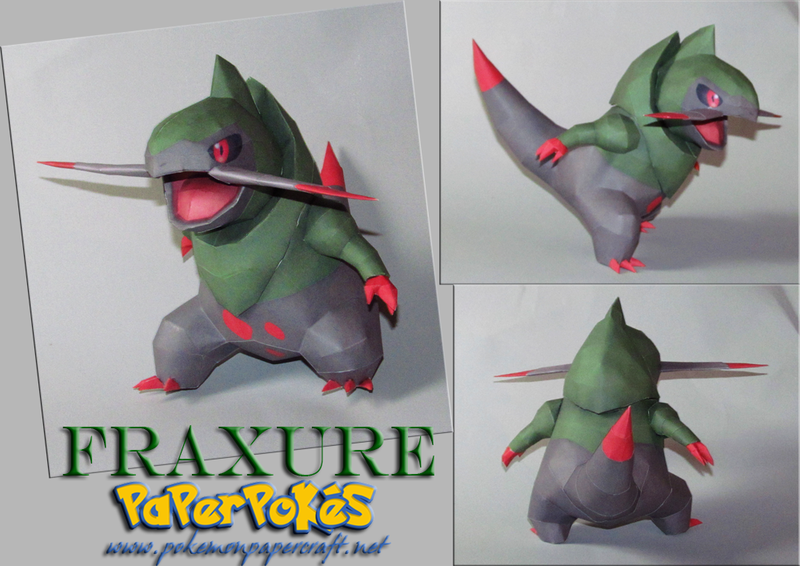 They often fight and in those fights they tusks can break, but, unlike Axew’s, they don’t regenerate. They live in riversides with rocks, where they can sharp the tusks after fights. NOTES: Notes included. Follow the numbers, but be sure to attach any relevant parts (tusks-head, arms-body) before closing those parts.